Marketing's job is to make a big deal out of their company's products and Canon definitely made a big deal at the Canon EF-M 32mm f/1.4 STM Lens' unveiling. However, the other products announced, including the Canon EOS R, heavily overshadowed this one. Still, this lens did not fly under everyone's radar and many have said, in one form or another, "You have to try this lens!" That opportunity finally came and ... the advice was spot-on. This tiny, lightweight little lens has a great general-purpose focal length, an ultra-wide aperture, impressive image quality (including at f/1.4) and a very reasonable price. This lens is reason alone to buy an EOS M-series camera just to use it on. Sometimes, it is easy to justify the purchase of a lens for a subset of its attributes (such as price), but when it is time to select the ideal lens for a particular use, the focal length always becomes a very important attribute. The focal length determines the angle of view which determines the subject distance required for the desired framing and the distance from the subject determines the perspective. The 32mm focal length is a rather unusual one in the DSLR and MILC (Mirrorless Interchangeable Lens Camera) market, though brands like Cooke and Arri offer a variety of ultra-expensive 32mm models for the filmmaking world. On an EOS M camera with an APS-C-format imaging sensor, this lens provides an angle of view similar to a 51.2mm lens on a full frame camera, hitting very close to the ultra-popular 50mm focal length angle of view. What is the APS-C 32mm focal length useful for? This angle of view appears very natural, approximating how we perceive a scene with our own eyes in field of view and perspective terms and affords very strong general-purpose usefulness. As you will likely figure out, I didn't find a lack of subjects for this lens. They're everywhere. 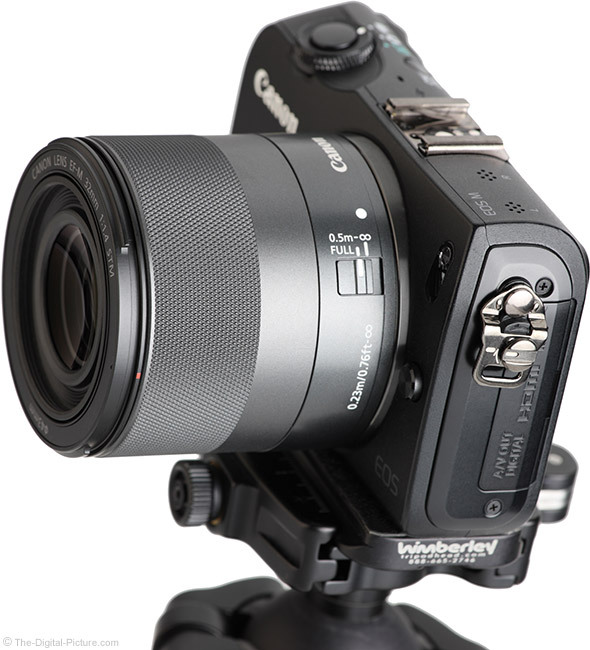 The 32mm APS-C focal length works especially well for still and video capture of fashion, portraiture, weddings, documentaries, the street, lifestyle, sports, architecture, landscape, and around-the-home activities along with general studio photography applications including product photography. As you likely noted, a number of good applications for this lens include people as subjects. The 32mm APS-C angle of view is modestly too wide angle for tightly framed head shot portraits (a too-close perspective is required, at least for my taste), but it is great for wider portrait framing. Keep some shoulder in the frame along with the entire head and the results are very nice. This is a great street photography lens. I spent a solid amount of time carrying this lens around on a Canon EOS M5, including a day walking the French Quarter in New Orleans. 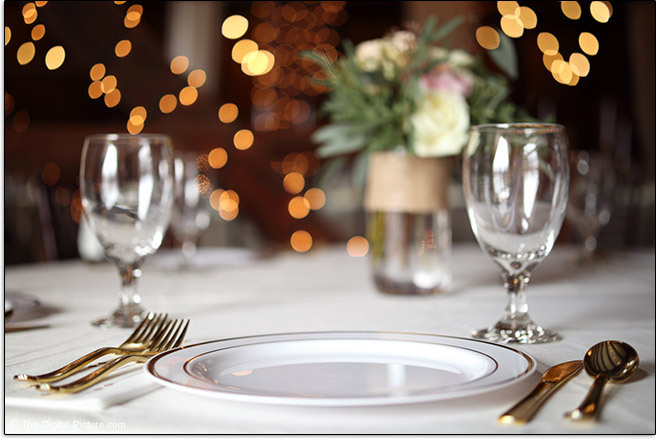 Whether you are a guest or the primary photographer, this is a great lens to have at a wedding. I even photographed a church assignment using it. Simply using this lens when convenient led to a very large number of images during the month I've been using it. That caused another issue – determining which ones to share with you. Canon already had a good EF-M 28mm lens in the lineup. 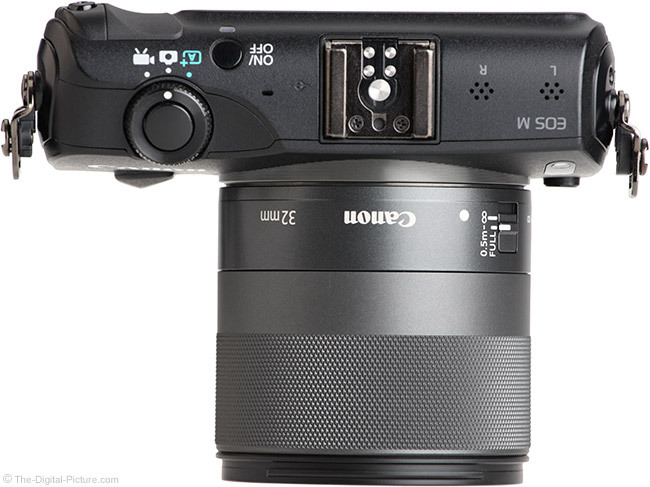 Why did they need a 32mm lens next, especially since the only other EF-M prime lens was a 22mm lens? The ultra-wide aperture is the reason. The ultra-wide f/1.4 aperture provided by this lens is a huge advantage it offers. I just finished reviewing two other f/1.4 lenses and in those reviews, I said that when you buy a prime lens instead of a zoom, you expect at least one strong advantage to offset the loss of zoom range versatility. Common prime lens advantages include smaller size, lighter weight, lower price, better image quality, and/or a wider aperture. With the Canon EF-M 32mm f/1.4 STM Lens, you practically get all of the above. I say "practically" because, though still a very affordable lens overall, the price tag makes this one of the higher-priced EF-M lenses to date. The f/1.4 max aperture made available by this lens is almost as wide as DSLR and MILC (Mirrorless Interchangeable Lens Camera) lenses get and no autofocus lens wider than 50mm exceeds this lens' maximum aperture. The wider the aperture, the more light is made available to the imaging sensor. Allowing more light to reach the sensor permits freezing action, handholding the camera in lower light levels and/or use of a lower ISO setting (lower noise levels). It seems that there is always enough light for this lens to capture a sharp image. Increasing the aperture size also permits a shallower depth of field that produces a stronger, better subject-isolating background blur (at equivalent focal lengths). The shallow f/1.4 depth of field must of course be acceptable to you in these circumstances, but shallow depth of field is a highly-desired lens capability, excellent for making the subject pop from a blurred background. A 32mm lens will not be considered a blur-master by many, but this one can definitely create subject separation if the subject is close. Those looking for a prime lens often already have a general-purpose zoom lens in their kits and 32mm is typically covered by that lens. The current EF-M zoom lenses covering 32mm have an f/4.5 or f/5 max aperture at that focal length, and these lenses require over 8x as much light to achieve the same shutter speed and/or ISO setting. While this lens does not produce a strong background blur for more distant subjects, the wider aperture can be used while keeping supporting background details recognizable. 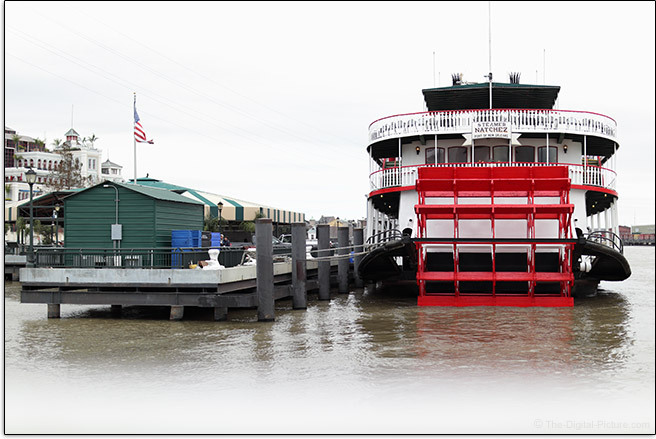 Below, the Mississippi riverboat helps to associate a location with the primary subject. In the image below, the mighty (muddy) Mississippi River seemed a bit lacking as the foreground, but including a strongly-blurred fence railing at the bottom of the frame adds a uniqueness to the image. Note that, especially under full sun conditions, even a 1/8000 second shutter speed will often be too long to avoid blown highlights in f/1.4 images and no EOS M-series cameras available at review time have shutter speeds faster than 1/4000 second. Use a neutral density filter (or narrower aperture) to avoid this issue. An ultra-wide aperture is great, but most lenses are not their sharpest at their wide-open apertures and that wide-open aperture becomes far less appealing if the image quality is insufficient. In this case, the wide-open image quality is one of the reasons you are going to want this lens mounted on your camera. With only the exception of the extreme corners, this lens is very impressively sharp across the frame at f/1.4. 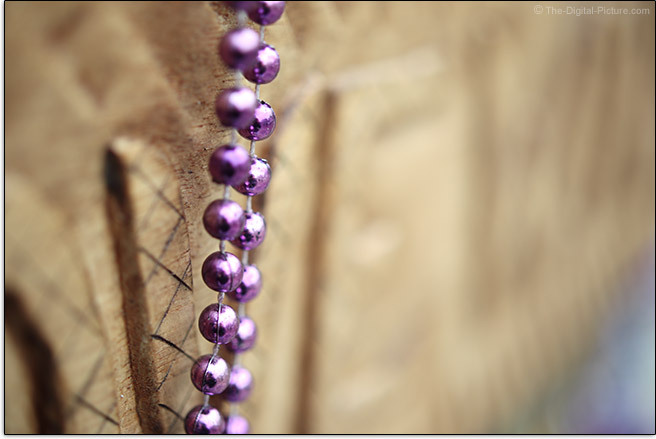 Little change is seen or needed at narrower apertures, though a slight contrast improvement occurs at f/2. The extreme corners of the frame are slightly soft at f/1.4 and improve to very sharp by f/2.8. Again, this is a very impressive performance, especially for a lens of this size, weight, and price. It always helps to compare a lens against one of the best to know how well it really performs. The Canon EF-M 32mm f/1.4 STM Lens vs. Canon EF 200mm f/2L IS USM Lens comparison is quite revealing. In that comparison link, I selected f/1.4 for the 32mm lens and stopped the impressive-performing 200mm L lens down to f/4 to illustrate how good the 32mm lens really is. I see a slight contrast difference in this comparison, but there is little resolution difference and both lenses equalized at f/4 shows the EF-M 32mm f/1.4 lens performing similarly to a lens costing over 12 times more. 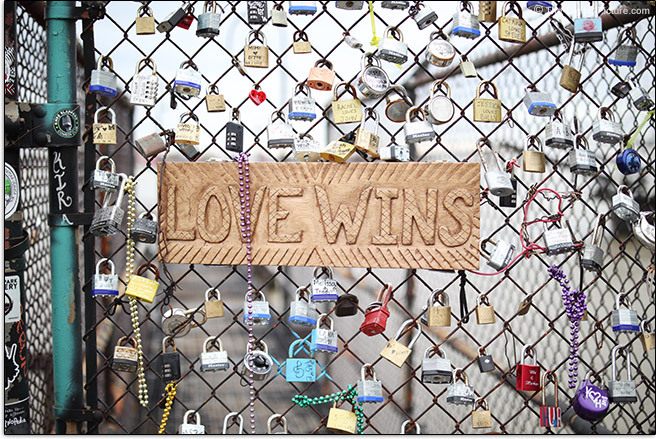 Let's view a set of real-world examples. The images below are 100% resolution crops from images captured in RAW format using a Canon EOS M5. The images were processed in Canon's Digital Photo Professional using the Standard Picture Style with sharpness set to "1" on a 0-10 scale. Note that even modestly-high sharpness settings are destructive to image details and hide the true characteristics of a lens. The photo of the eye is from the sample portrait shared earlier in the review. Increase sharpness slightly and these results are especially impressive. Moving to the corners ... there might be a touch of heat wave distortion in these top-right corner crops, but the sharpness is about representative to what I'm seeing. Extreme corners generally show improvement through f/4 or f/5.6. 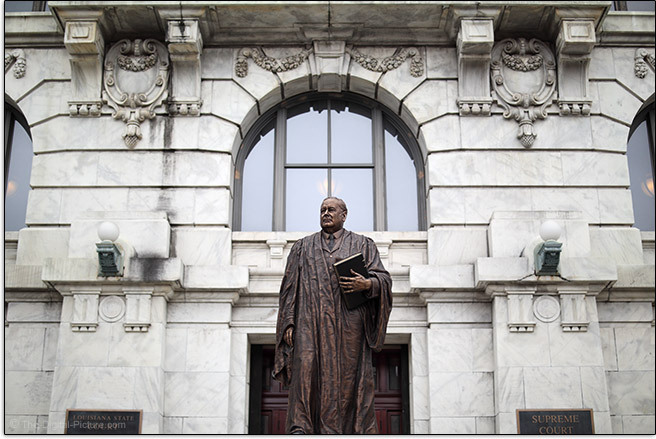 Does corner sharpness matter? Sometimes it does, sometimes it doesn't. Landscape photography is one photographic discipline that frequently desires sharp corners. However, those applicable situations usually require apertures narrower than f/4. When shooting at the widest apertures, depth of field is often shallow and the plane of sharp focus less-frequently includes a corner, making corner sharpness less important. I always prefer my lenses to be razor sharp in the corners, in case I need that feature, but each of us must consider our own applications to answer this paragraph's initial question. Focus shift, the plane of sharp focus moving forward or backward as the aperture is narrowed (residual spherical aberration RSA), is not an issue with this lens. 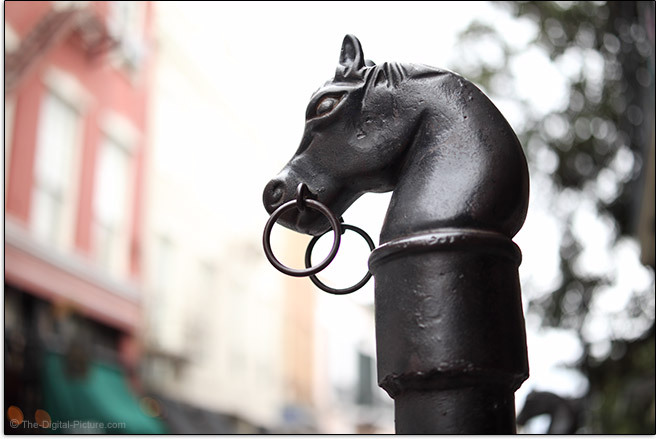 For an f/1.4 lens, this one shows very mild peripheral shading. Expect near 2-stops of shading in the corners at f/1.4. 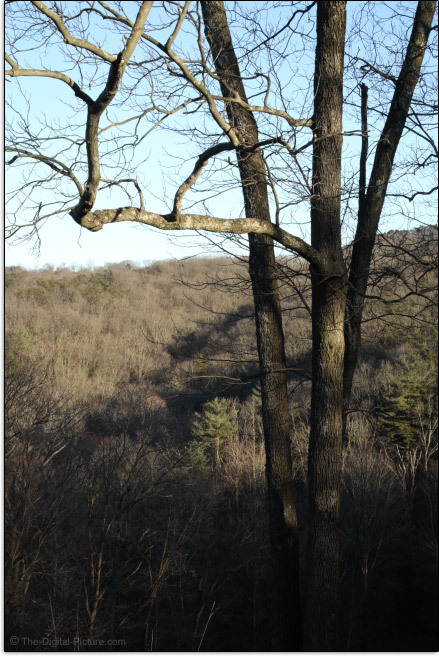 The vignetting decreases to a seldom-visible about-0.8-stops at f/2 and only roughly 0.4-stops of shading remains through the balance of the aperture range. Vignetting can be corrected during post-processing with increased noise in the brightened areas being the penalty or it can be embraced, using the effect to draw the viewer's eye to the center of the frame. While lateral CA is usually easily corrected with software (often in the camera) by radially shifting the colors to coincide, it is of course better to not have it in the first place. 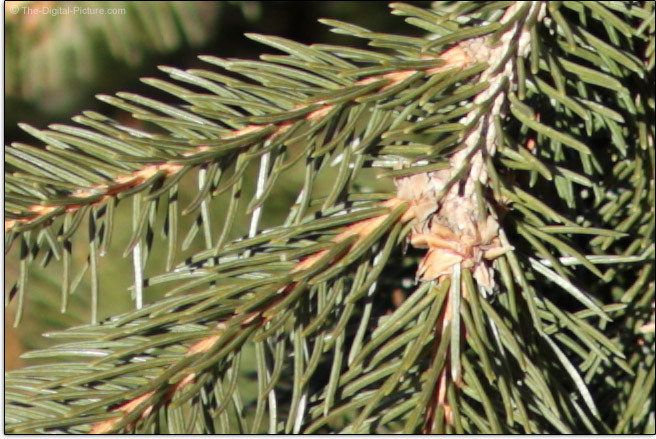 Any color misalignment present can easily be seen in the site's image quality tool, but let's also look at a worst-case example, a 100% crop from the extreme top left corner of an EOS M5 frame. 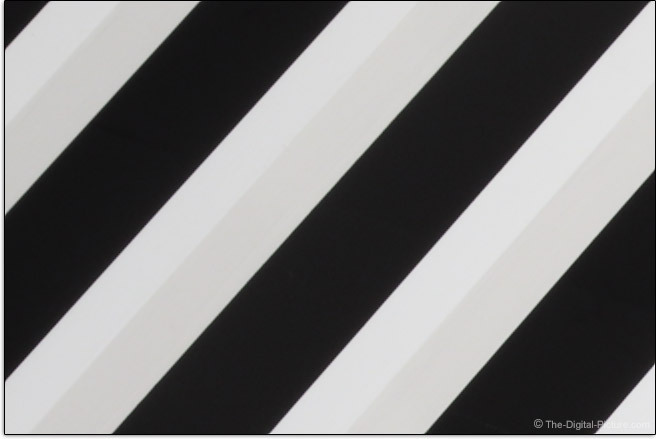 There should be only black and white colors in these images and that is essentially what we are seeing here. Below are 100% crops including neutral-colored subjects. 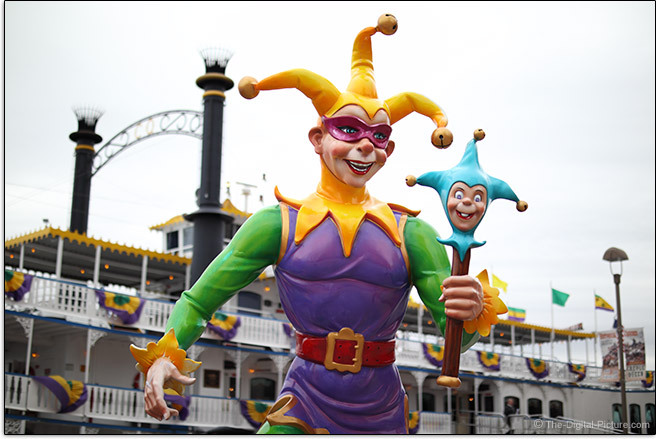 Look for fringing colors in out of focus areas of the image with specular highlights in the foreground showing a different color than in the background. The modest color fringing seen at f/1.4 is basically gone by f/2.8. Flare effects, unless desired for artistic effect, are very destructive to an image and often very difficult to remove during post-processing. Avoiding flare is ideal and this lens, featuring Canon's Super Spectra coating, excels at doing so. At f/1.4, this lens aced our brutal sun-in-the-corner-of-the-frame flare test, showing no effects. Flaring effects are typically increased as the aperture narrows and by f/4, I can see a very faint flare response. Flare effects increase very slightly at f/11 and again at f/16, but even at f/16, this lens shows a remarkably low amount of flare. There are two lens aberrations that are particularly evident when shooting images of stars, mainly because bright points of light against a dark background make them easier to see. Coma occurs when light rays from a point of light spread out from that point, instead of being refocused as a point on the sensor. Coma is absent in the center of the frame, gets worse toward the edges/corners and generally appears as a comet-like or triangular tail of light which can be oriented either away from the center of the frame (external coma), or toward the center of the frame (internal coma). Astigmatism is seen as points of light spreading into a line, either meridional (radiating from the center of the image) or sagittal (perpendicular to meridional). Remember that lateral CA is another aberration apparent in the corners. 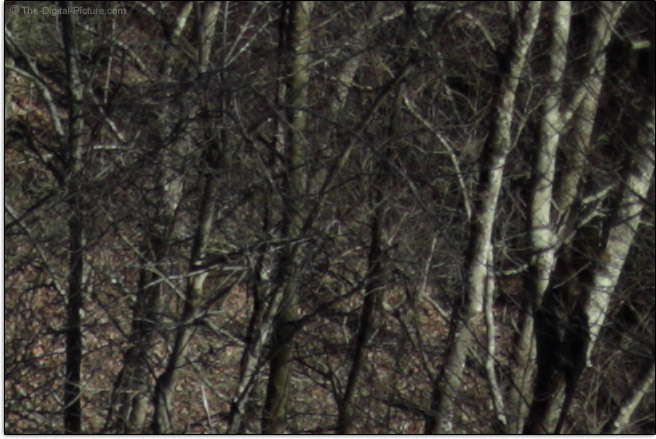 The following set of 100% extreme-top-left corner crops show some issues present. Stop down to f/2.8 for these aberrations to be much improved. The EF-M 32mm f/1.4 Lens exhibits a mild amount of barrel distortion as seen in the top of the reduced-size entire-frame sample image below. This amount of distortion will seldom be noticed. I love the computer-translation of a portion of Canon Japan's description of this lens: "The blur is beautiful and smooth by the circular aperture of 7 pieces of feathers." I hadn't thought about "feathers" when describing this attribute, but the blur is very nice. 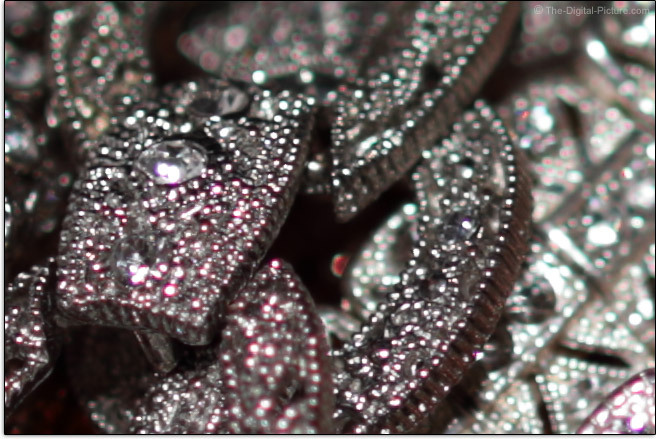 In the f/5.6 background blur example, we see the aperture blades imparting relatively straight edges to the specular highlights with the centers being rendered very smoothly, though with a slight circular shape inside. 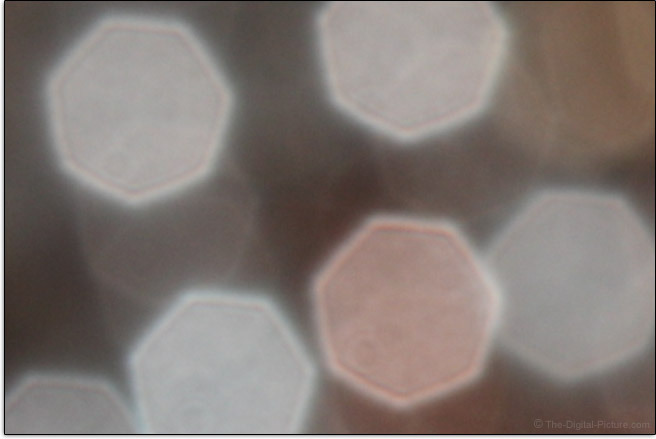 At the widest apertures, mild cat's eye bokeh, a form of mechanical vignetting, can be seen in the corners, as illustrated in the reduced-size, full image shown above. Stopping down reduces the entrance pupil size and the mechanical vignetting absolves. 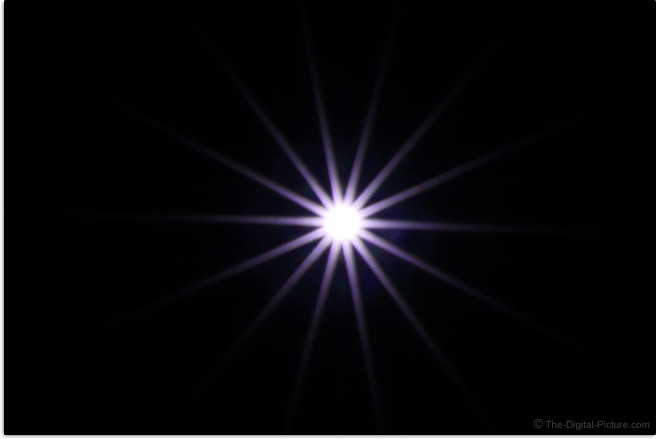 As the aperture gets narrower, point light sources take on a starburst effect and often the case is that the wider the max aperture of the lens, the stronger the star effect a lens can produce. 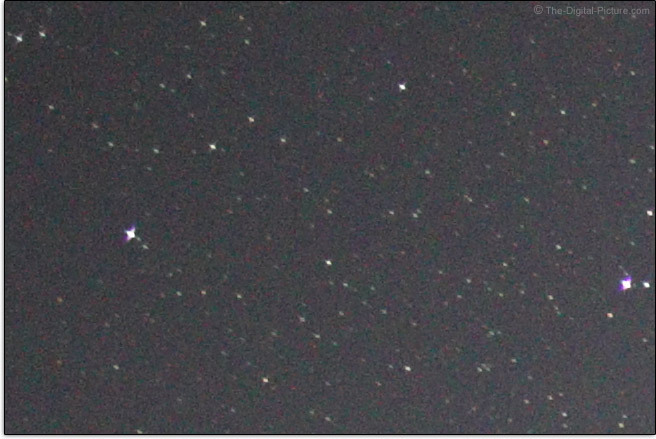 When stopped down, this lens' 7-blade aperture produces beautiful 14-point stars from point light sources. Aside from a little extreme corner softness and spherical/axial CA at wide apertures, there is little fault to find in the image quality delivered by this lens. 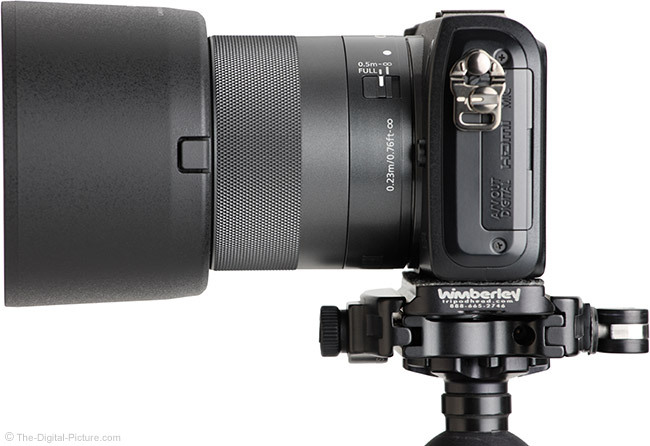 It is quite impressive – remarkable for the size, weight, and cost of this lens. All EF-M lenses to date, including the EF-M 32mm f/1.4, utilize a stepping autofocus motor (STM). The 32 f/1.4 uses a lead screw-driven (vs. gear-driven) STM system that is very quiet, producing a light "zzzzzz" with some clicks that can be heard in a quiet environment. Autofocusing is smooth, ideal for shooting video. The EF-M 32mm f/1.4 is a reasonably fast focusing lens. Focus accuracy is of key importance and like other STM lenses, this lens focuses very accurately. A-typical for a lens in this class is that a focus limit switch is provided with 1.64' (0.5m) - ∞ being available along with the full range. If you know that all of your subjects will be farther than the limited distance, use the switch to avoid focusing hunting into the closer range. This lens extends up to 0.46" (11.7mm) during focusing at minimum focus distance. 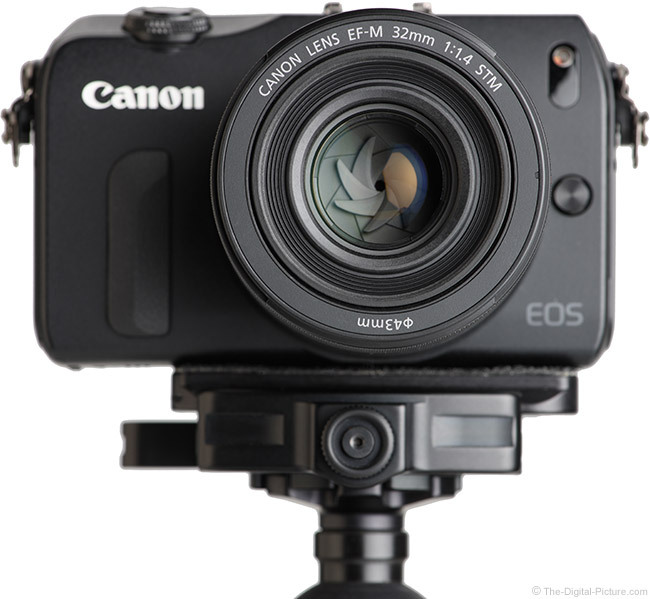 A nice EOS M-series camera feature is that a lens can automatically be parked in its most-retracted position when the camera is powered off, either from timeout expiring or using the physical power switch. With the EOS M5's "Retract lens on power off" set to "Disable", this lens still retracts to infinity focus distance when the camera powers off, regardless of the camera's focus mode. This means that a carefully-selected focus distance setting will be lost when the camera times out. 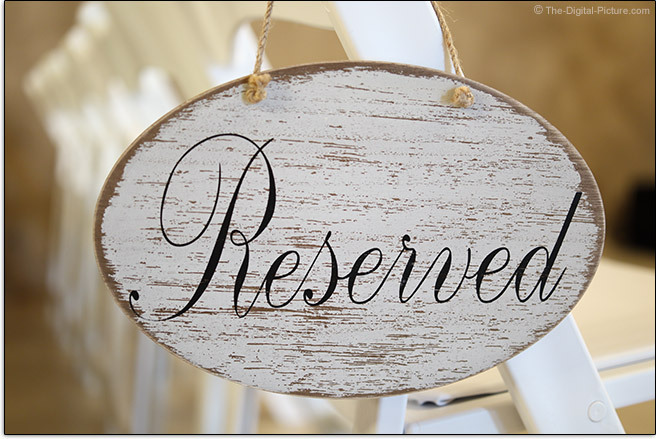 There are times when this would pose a problem for me. When asked about this behavior, Canon USA's Rudy Winston responded indicating that "It's a designed-in feature, primarily to protect the moving lens barrel from impacts and potential misalignments if it was impacted during transport. There is no work-around that I’m aware of, other than extending the time for Auto Power Off." The latter is of course an easy solution. 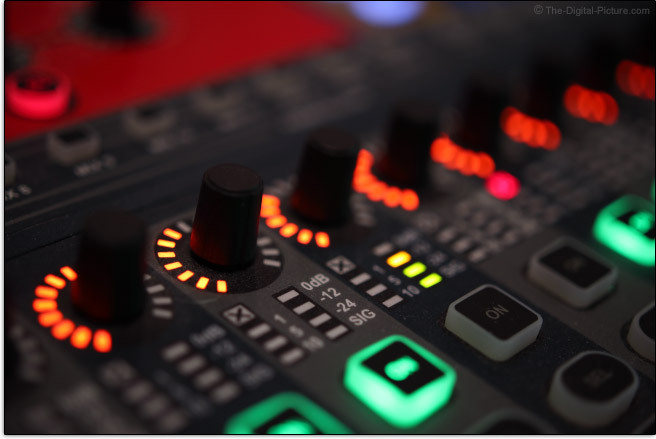 STM utilizes a focus-by-wire or electrical manual focus design (vs. a direct gear-driven system). The manual focus ring electronically controls the focus of the lens. Typical for STM lenses, the EF-M 32 offers full-time manual focusing in AF mode, though this is supported in AF+MF mode and the shutter release must be half-pressed for the focus ring to become active. The lens' switch must be in the "MF" position and the camera meter must be on/awake for conventional manual focusing to be available. With electronics driving AF, the rate of focus change caused by the focus ring can be electronically controlled and it can be variable, based on focus ring rotation speed. Implemented well, the variability can be an advantage. More often, I find it a hindrance and I'm only relatively happy with the design of this lens' variable focus adjustment rate feature. I'm also only moderately happy with the responsiveness of the focus ring with a quick rotation sometimes not adjusting the focus distance. Because of the dual speed MF ring, large focus distance adjustments can be made very quickly while precise fine-tuning is made available. But, an inconsistent focus ring rotation rate change can prove somewhat challenging when trying to quickly rock the focusing ring back and forth to fine tune focusing. Using marked focus ring pulls with this lens requires a skillful rate of turn, both in setup and execution of the pull. I'd rather have a single adjustment rate and this feature has become available via a menu option in some of Canon's latest cameras. No AF/MF switch is featured on this lens, so you will need to locate this option on the camera (a dedicated button on many recent M-series models) to change AF modes. No focus distance information is available. The substantial approx. 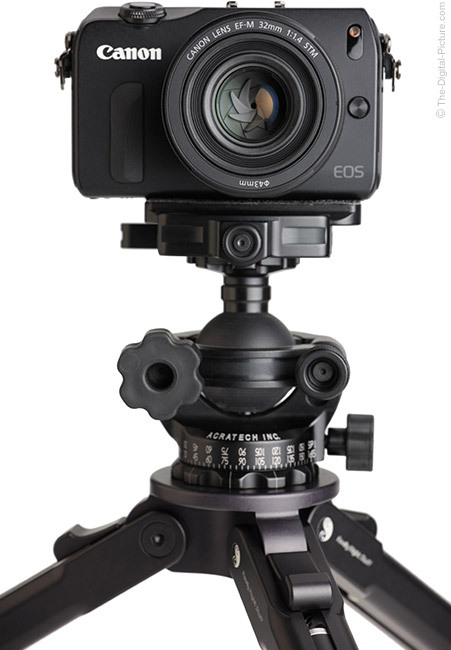 180° of rotation required to adjust from infinity down to the minimum focus distance enables precise manual focusing. The manual focus ring is substantially-sized and turns smoothly with good resistance. Subjects change size a considerable amount over the focus range as illustrated below. With a 9.1" (230mm) minimum focus distance, the Canon EF-M 32mm f/1.4 STM Lens gets a 0.25x maximum magnification specification, a very respectable number, especially for a wide aperture prime lens. Below is a table showing the minimum focus distance and maximum magnification for a selection of lenses. 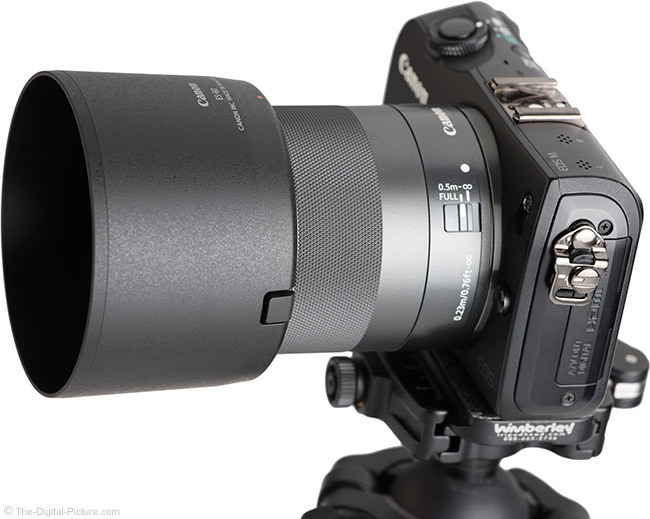 Note that the RF lens is not compatible with the EF-M mount, but it is an interesting comparable. 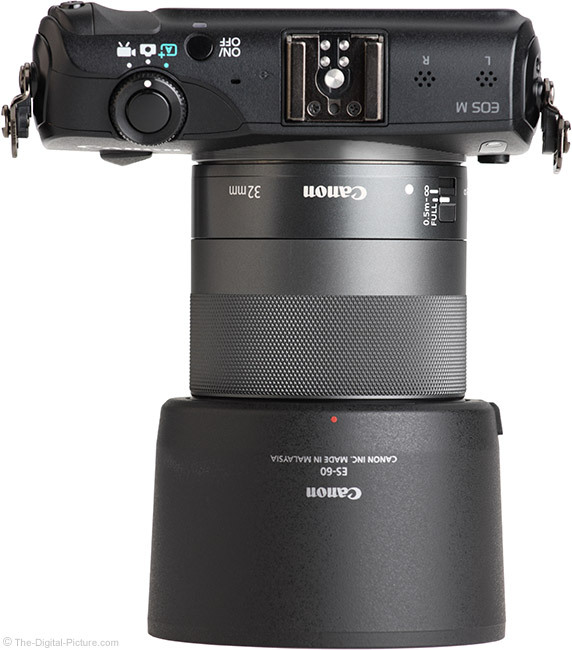 Also note that the EF lenses are only compatible with the EF-M mount when paired with the Canon EF-EOS M Adapter. 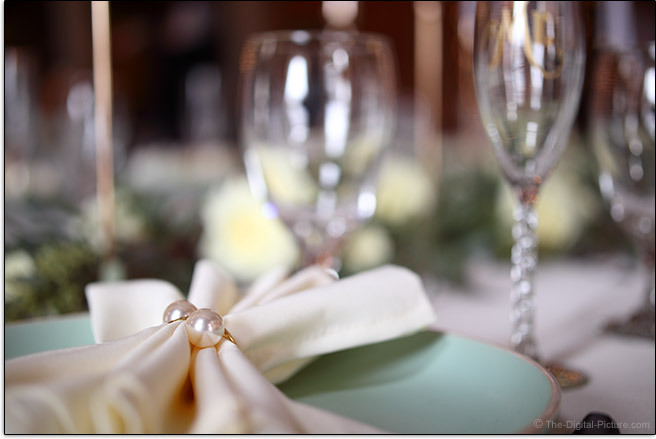 The table setting below along with some of the other images in this review were captured at or near this lens' minimum focus distance. Extension tubes will significantly decrease this lens' minimum focus distance, increasing its magnification capabilities. 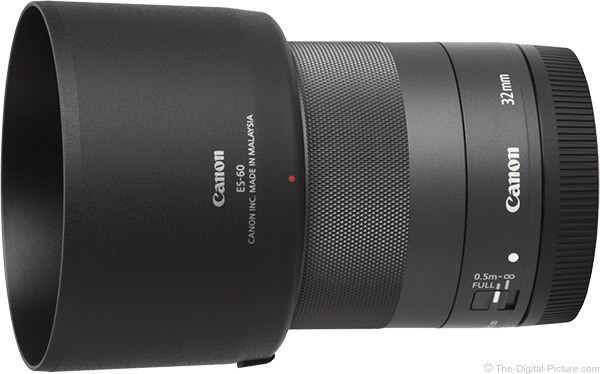 As of review time, third-party manufacturers have EF-M extension tubes available, though Canon does not. As John said in the EF-M 28 review, the EF-M series of lenses released to date share several common features, including a uniform diameter of 2.4" (60.9mm), a minimalist design with few controls/switches, and an overall small size and light weight. They have been designed with compactness in mind, in keeping with the smaller size of mirrorless cameras. This lens barrel is mostly focus ring with an adequate amount of grip area provided behind it for ease of mounting and dismounting the lens. The EF-M 32mm f/1.4, like many of the other EF-M lenses, has a polycarbonate barrel with a diamond-textured polycarbonate focus ring. The lens mount is metal and the lens has an overall solid feel despite its tiny size, light weight, and plastic construction. The build tolerances are tight and the lens has a good quality look and feel. Following is a comparison of a selection of lenses. Again, the RF lens is not compatible with the EF-M mount. For many more comparisons, review the complete Canon EF-M 32mm f/1.4 STM Lens Specifications using the site's Lens Spec tool. Let's put a size comparison visual to some of the lenses in the table. Omitting the RF lens, these lenses are shown below with their hoods in place. Use the site's product image comparison tool to visually compare the Canon EF-M 32mm f/1.4 STM Lens to other lenses. I pre-loaded a relevant comparison in that link. The EF-M 32 f/1.4's 43mm filter size is very small with such filters taking up a small amount of space and costing a small amount of money. Those with DSLR kits will not likely find any filters of this size in their bags. The 43mm size is shared by only three lenses in our 431-lens specification database. 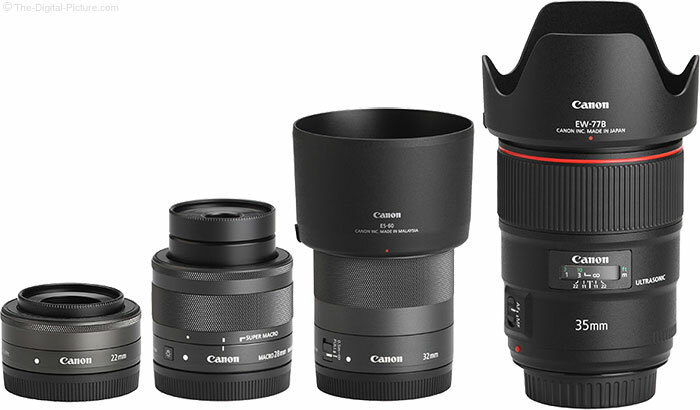 Fortunately, all three are prime EF-M lenses (22mm f/2, 28mm f/3.5, and 32mm f/1.4). The Canon ES-60 Lens Hood is optional. This is a rather-expensive, relatively large, semi-rigid matte plastic round-shaped hood with a smooth matte interior and a push-button release that makes installation and removal easy. It offers a great amount of protection, from both impact and from bright light, and permits the camera and lens to sit upright on a flat surface. Reversed, this hood impedes on the grip area of the M5 and similar cameras, making the camera challenging to hold onto (such as while putting it into a case). Also excluded from the box is a lens case. 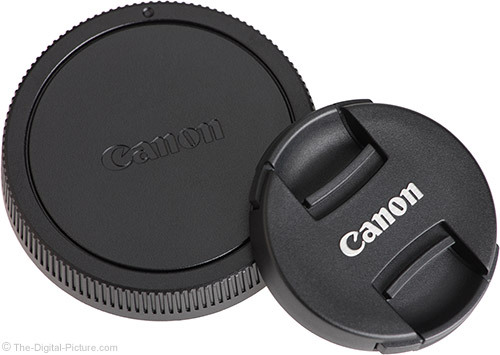 The Canon LP1014 is listed as the accessory for this lens, but ... that pouch is far too large. Consider getting one of the small Lowepro's Lens Cases for a very nice and affordable solution for single lens storage, transport and carry. The lens cap is tiny, but it works fine. While this lens is priced rather high among its EF-M siblings, it is very affordable in the overall field of lenses. Considering what it delivers, from both features and image quality standpoints, it is a bargain. 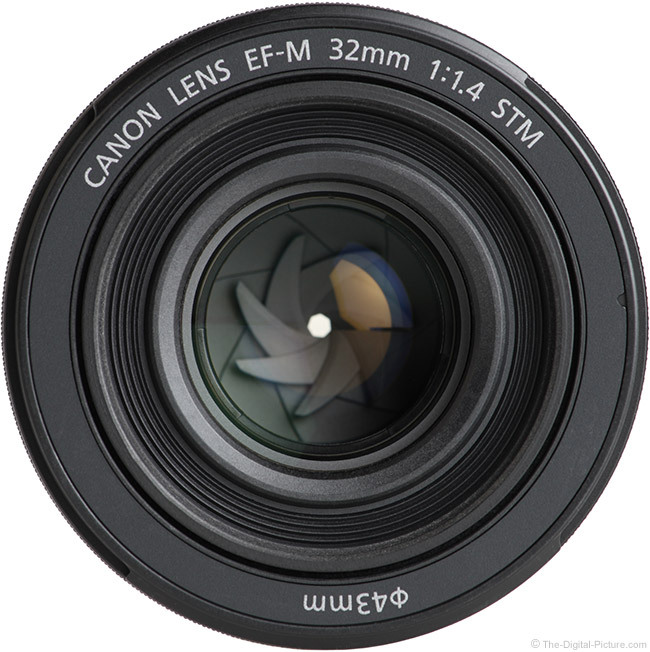 As an EF-M lens, the Canon EF-M 32mm f/1.4 STM Lens is compatible only with Canon EOS M-series cameras. Canon provides a 1-year limited warranty. 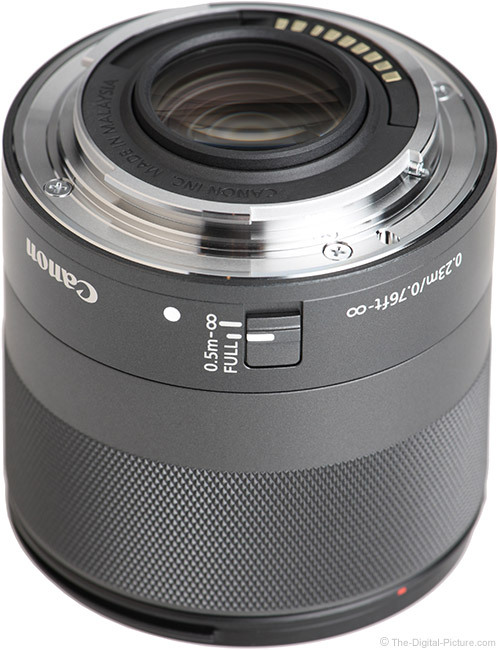 The reviewed Canon EF-M 32mm f/1.4 STM Lens was online-retail sourced. If you want a roughly 32mm focal length, autofocus, and an f/1.4 aperture, as of review time, there are no alternatives to the Canon EF-M 32mm f/1.4 STM Lens without the use of an adapter. Within the EF-M line, the Canon EF-M 22mm f/2 STM Lens is the closest alternative. The EF-M 22 is a great lens and in the image quality comparison at f/1.4 vs. f/2, the two lenses do not perform too differently, though I give the edge to the 32. At f/2, the stopped-down 32 shows less vignetting. The 22 has slightly less geometric distortion. If you thought the EF-M 32mm f/1.4 was small, check out the Canon EF-M 32mm f/1.4 vs. 22mm f/2 STM Lens comparison. The EF-M 22 is considerably smaller and lighter. The 32 has a focus limiter switch and a higher maximum magnification spec (0.25 vs. 0.21x). You could buy two of the 22mm pancake lenses for the price of one 32 f/1.4. Keep in mind that these focal lengths are considerably different and that these lenses are better complements than competitors. 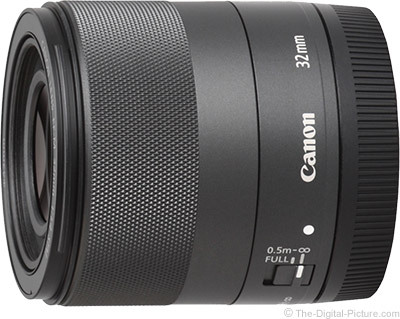 The Canon EF 35mm f/1.4L II USM Lens is an awesome lens that is few mms longer and shares the same max aperture. However, this full frame-compatible lens is dramatically different in terms of size, weight and price. Give up 1 stop of aperture opening and the well-loved Canon EF 35mm f/2 IS USM Lens becomes a contender. 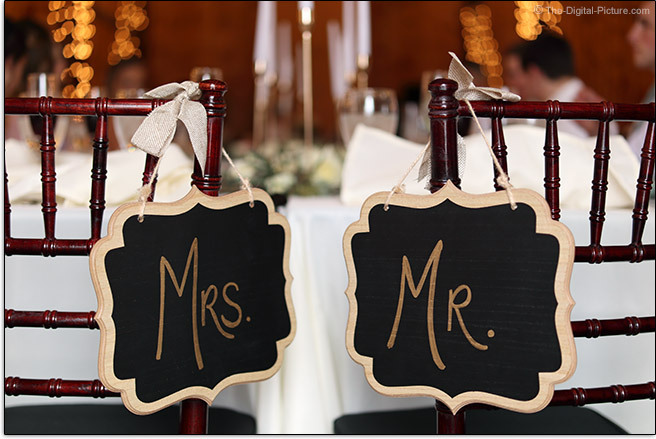 The image quality comparison between these two lenses shows the EF-M model holding the advantage. Looking at the measurements and specifications, the Canon EF-M 32mm f/1.4 vs. EF 35mm f/2 IS STM Lens comparison shows the EF-M lens lighter and considerably smaller without the EF-EOS M Adapter size and weight factored in. 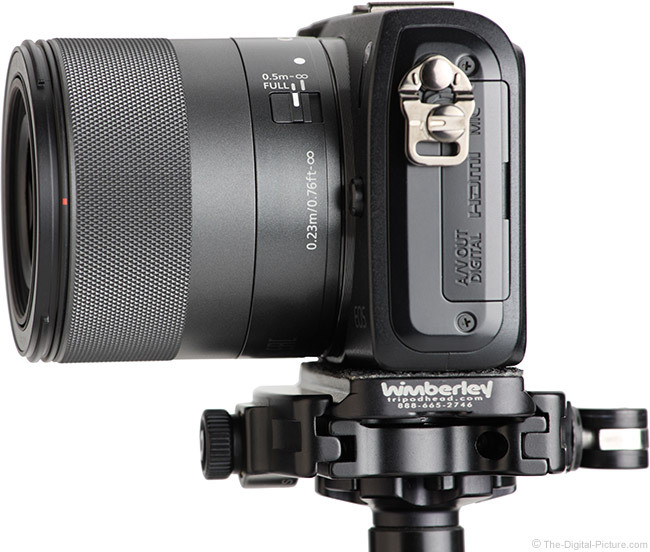 Same with the price – the EF-M is moderately less expensive without the adapter cost being included. With full frame imaging sensor format lenses being included in the alternatives list, the list grows huge and I'll let you use the site's tools to create your own comparisons. Many third-party EF-M mount lenses are also now available (note that many of these are manual-focus-only models). Take a great general-purpose focal length, pack it into a well-built, compact package, deliver impressive image quality, sell it at a relatively low price point and you have a winning combination. That succinctly sums up the Canon EF-M 32mm f/1.4 STM Lens. This is a very impressive piece of kit even without the tiny size, light weight and low-price factored in. It is worth buying an also-impressive and affordable little EOS M-series camera just to use this lens with. For a simple kit, it may be the only camera and lens needed and even professionals may find this combo a great backup option.